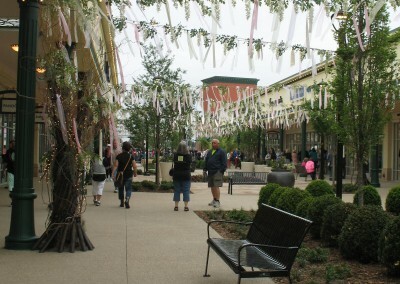 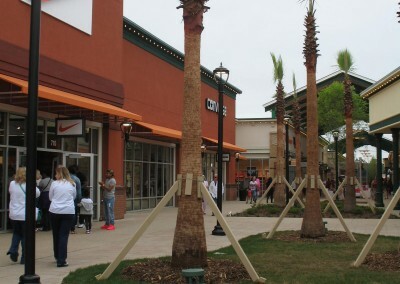 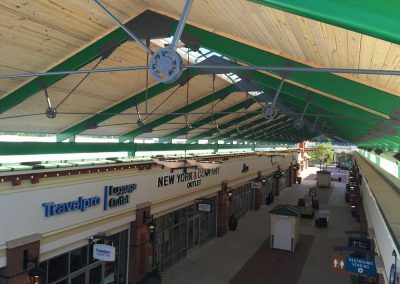 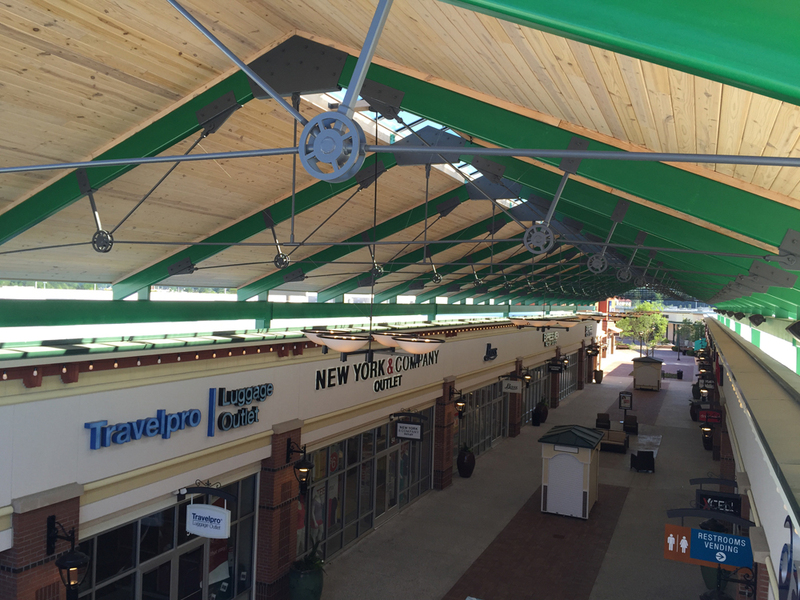 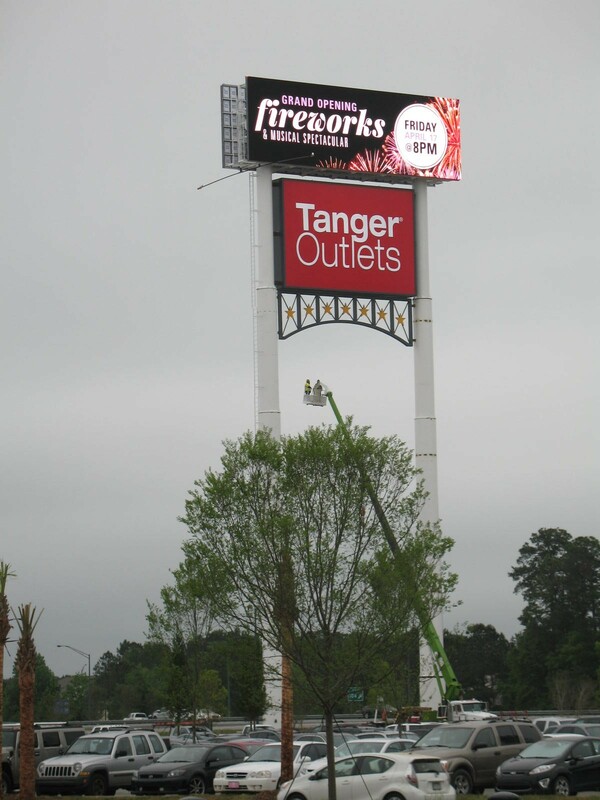 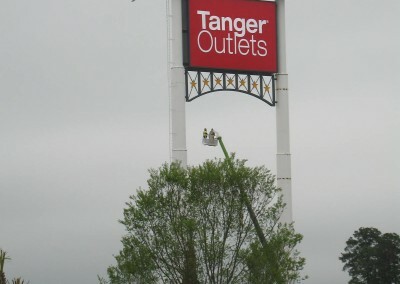 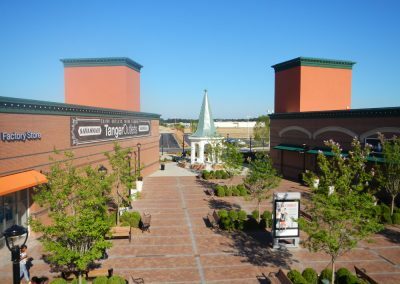 The Tanger Outlets Savannah layout was developed to provide a continuous walkable path with various routes to encourage the shopper to explore the wide assortment of quality retailers. 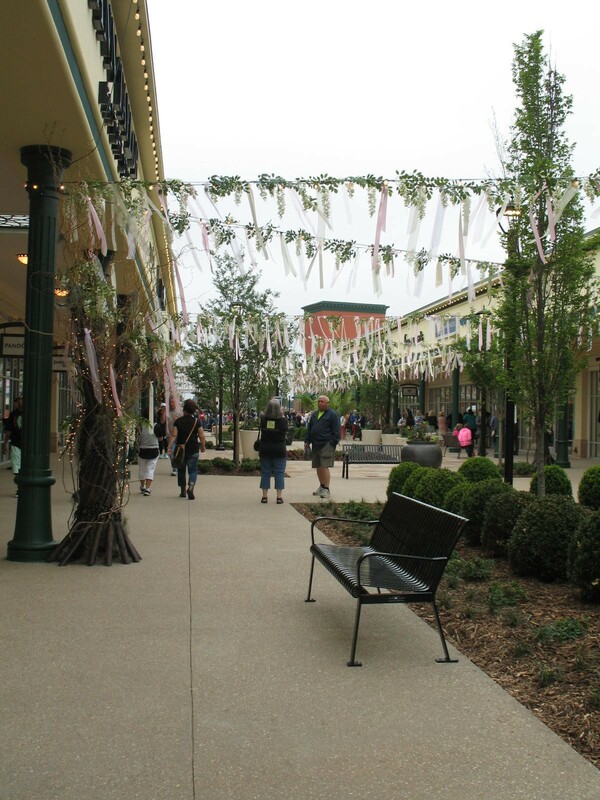 A variety of covered spaces for shelter and shade, open spaces with lush landscaping and fountains as well as a play area, generous parking, and other amenities provide the shopper with an inviting and changing environment. 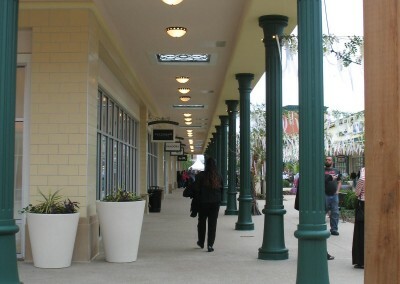 Located within the regional influence of Savannah, inspirations of “Historic Savannah” were used in the center’s design. 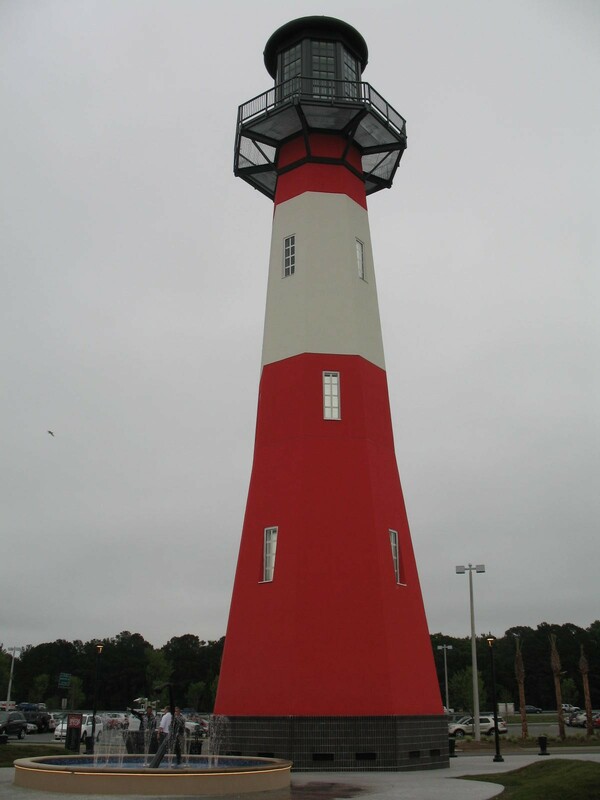 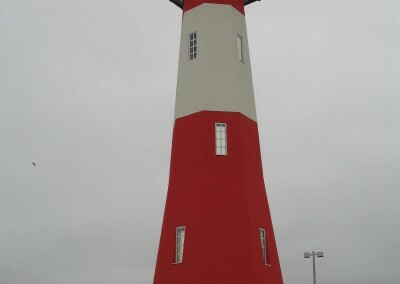 The Center features a 100′ Lighthouse which is styled after the Tybee Island Lighthouse. 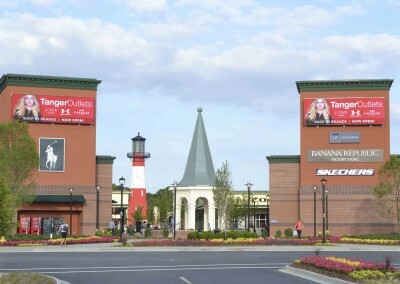 The Bell Tower is based on the original bell from the Old City Exchange. 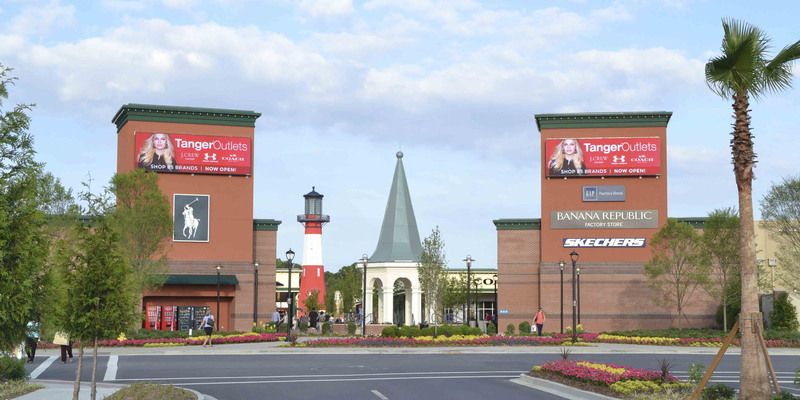 Both are landmarks for shoppers arriving at the center and those who pass by in their travels north and south on I-95. 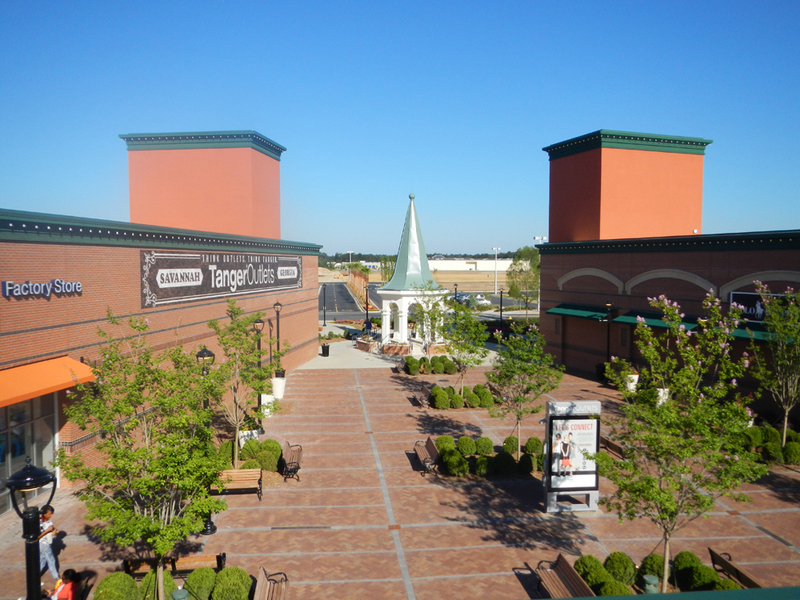 The Gallery structures are based on those still in place at the Georgia State Railroad Museum. 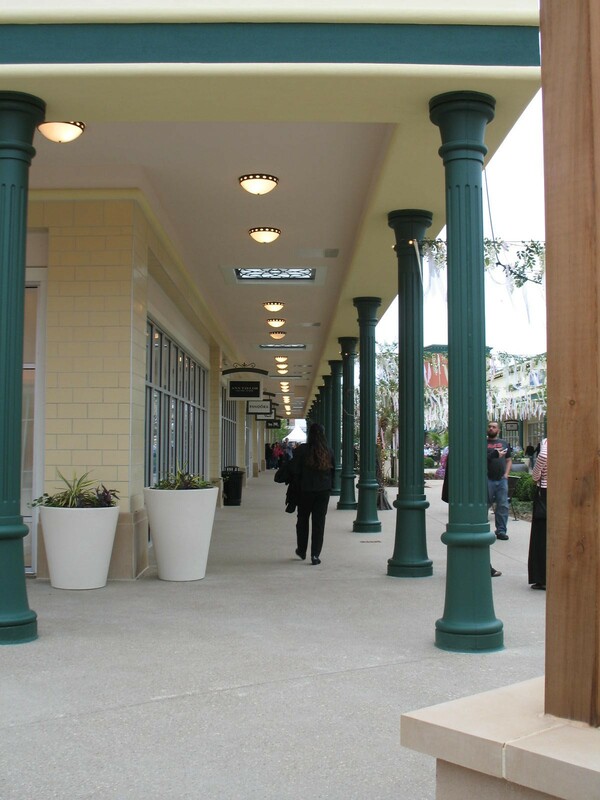 The Centers overall design was executed using materials traditional to historic Savannah, including brick masonry, “cast iron” columns and scroll work, period based lighting fixtures, and walking surfaces ranging from brick pavers to “tabby” concrete, complete with oyster shell. 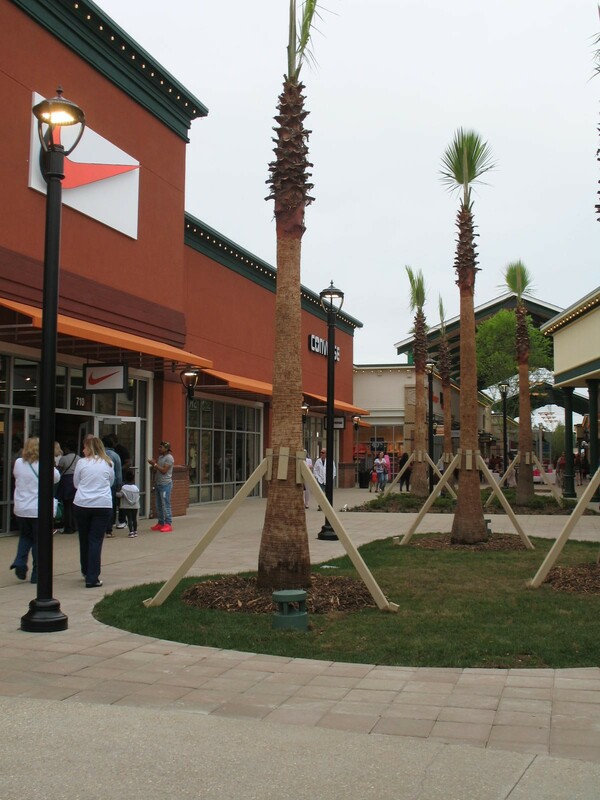 The sum of the Center’s Design pays tribute to the Architectures and Styles of Savannah and the region.